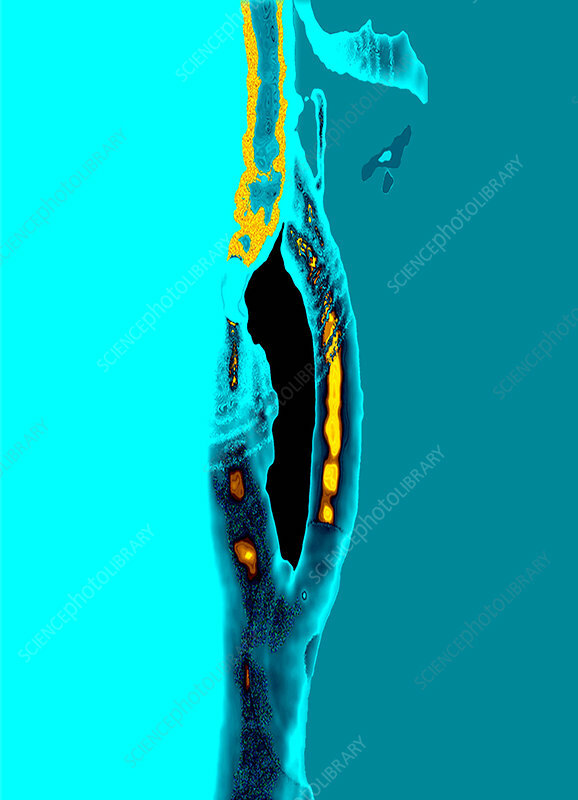 The image shows a very severe narrowing of the internal carotid artery in a patient with arteriosclerosis. The common carotid artery is the single vessel at the bottom of the image, which then divides into the internal carotid artery (on the left) that goes to the brain and the external carotid artery (on the right) that goes to the face. This patient suffered a stroke as a result of arteriosclerotic plaque buildup in the arteries which leads to the severe stenosis (narrowing).